The Healthy Chef is making the most of premium organic ingredients in its quest to create unique, delicious, functional and “the first of their kind in Australia” foods for optimum health and wellbeing. 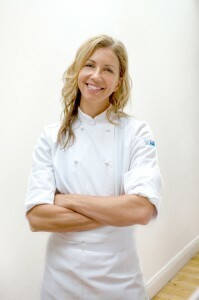 “The use of organic and natural whole-foods is at the heart of our philosophy at The Healthy Chef. It’s important to know where you’re food has come from and treat it with the love and respect it deserves,” says Teresa Cutter, founder of The Healthy Chef. Her organic certification journey started last year when Teresa decided that organic certification was crucial to formalising her commitment to quality and the production of natural, honest and pure food. “Being certified organic means that our foods and processing facility have been tested to the highest standards to achieve Australian Certified Organic (ACO) certification. The rules and regulations to be organically certified are pretty stringent, which is awesome because it gives me confidence in the system as well as the product,” she says. Teresa says a lot of her time is spent talking to producers. “I am currently searching the world for the best tasting organic ingredients out there to use in my products. Sometimes it’s a little difficult sourcing the certified organic ingredients I need,” she says. “An example would be the Pure Tahitian vanilla bean. It’s basically the whole “unexhausted” bean that is freeze dried and ground into a fine powder with all the awesome flavour of the full bean still intact. It’s expensive, but tastes amazing. This ingredient is actually not organic as it’s a rare commodity, however it’s ethically sourced and produced. The Healthy Chef’s Organic Pea Protein and Organic Superfood Antioxidant are currently ACO accredited products and feature the ACO ‘bud’ logo on the packaging. “Our Pure Native WPI range is one of our non-ACO certified functional foods that has also been held up to the same rigorous standards. It’s just that the farm that it’s sourced from is not certified organic. It is a grass fed premium product that is ultra filtered directly from pasture-raised, hormone-free, raw milk and only has one single pasteurisation process as required by law. All other processing methods are at cold temperature to preserve the native character of the protein (defined as un-denatured). Dairy farmers are also part of a national co-op and ensure humane treatment of animals and sound farming practices. According to Teresa, the certified organic market “has grown tremendously” over the years. “It tends to attract a certain group that put a value on their health and wellbeing,” she says.